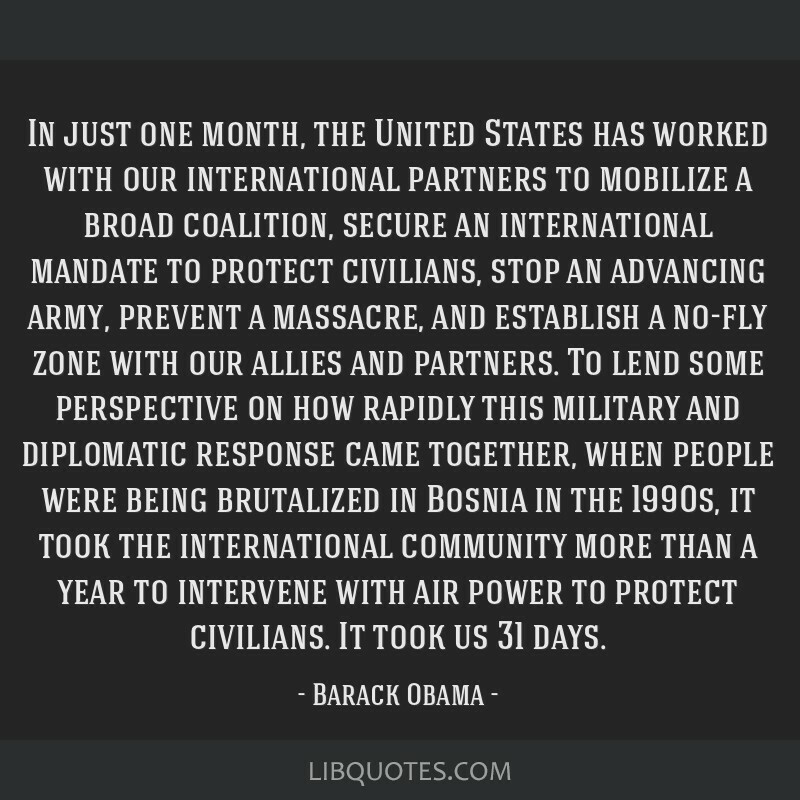 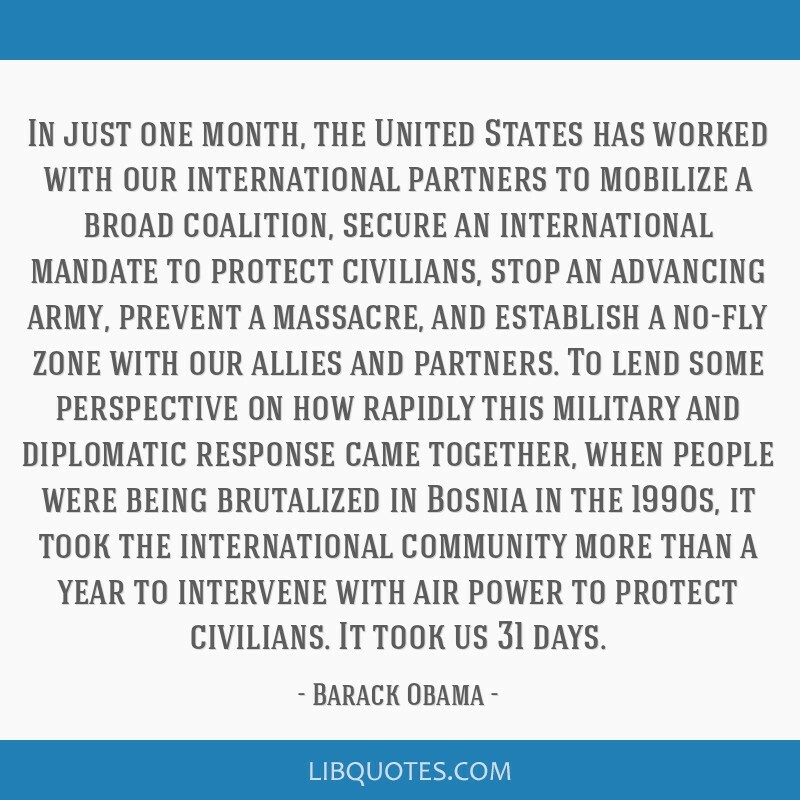 In just one month, the United States has worked with our international partners to mobilize a broad coalition, secure an international mandate to protect civilians, stop an advancing army, prevent a massacre, and establish a no-fly zone with our allies and partners. 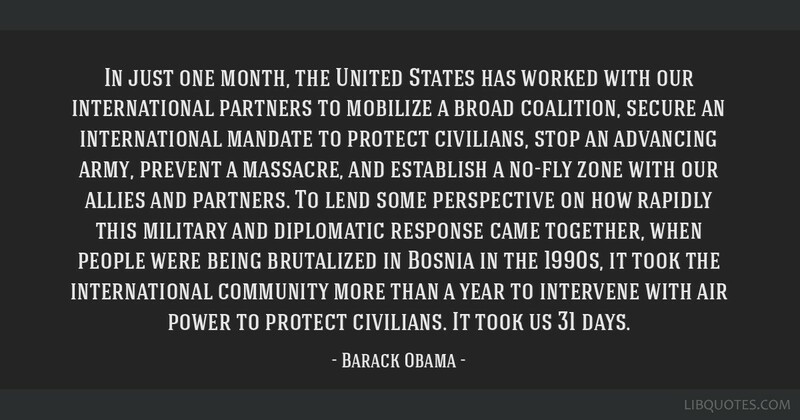 To lend some perspective on how rapidly this military and diplomatic response came together, when people were being brutalized in Bosnia in the 1990s, it took the international community more than a year to intervene with air power to protect civilians. 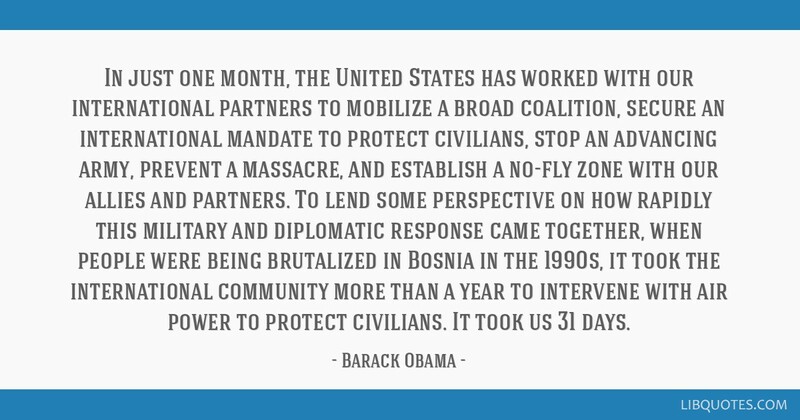 It took us 31 days.